I have been critical of Facebook Causes, almost from the day it emerged onto the scene. I may just be cynical, but I’ve seen too many technology providers claim that their tools will help organizations raise money, engage volunteers, mobilize action, or generally address organizational challenges in ways that only the internet is suited to do. Facebook Causes followed the same path. I have not been surprised that despite a robust set of tools and a smart alignment with one of the world’s largest (and potentially most influential) online channels, Causes has failed to realize its full potential. The fundraising results have been underwhelming. The number or organizations who joined causes in the past with enthusiasm and now voice frustration, or who have abandoned their efforts entirely, continues to grow. And, users, who are hoping to provide meaningful, measurable support to the causes and organizations they support, are increasingly looking at other platforms and other ways to become engaged. But its not just Facebook Causes. This same criticism can be leveled on any new channel or platform that claims (or has claims placed on it - ahem, Twitter) that it can solve the many organizational problems that surround nonprofits and charities or address the intractable social problems plaguing our society on their own merits. Its not about the technology. And though that point seems to be pretty well understood, and most people I talk with agree that the path to success should not be defined by technology, our friends, clients, and the groups we support continue to make the same mistakes over and over. Compounding matters, despite all they have done to acknowledge and address frustration within the nonprofit community relating to the performance of their platform, and their commitment to adding campaign-experienced staff to their team, the Causes team still talks mostly of new features and functionality. If Facebook Causes wants to fundamentally change the way nonprofit organizations and charities operate, and the impact they have on the world, a different approach is needed. Their focus must shift from building new tools and waging higher-profile campaigns to understanding what motivates action and how to support groups in their work. Online movements are successful because they marry the right set of opportunities for engagement with a level of awareness and passion among the target audience. More often than not, the issues that groups are tackling, while critically important are complex and thus challenging for audiences to understand quickly or obscure and thus not considered to be immediately relevant by the audience. The Facebook Causes platform doesn’t change that. The successful causes on Causes seem to start out well known, or bring in a high profile or strong brand. They are tied to celebrities or major events. Everyone else must work harder to spark a true grassroots movement (online or offline) and realize the results that the technology world, including Causes, have promised through their platforms. Let’s review: Its not about the technology. 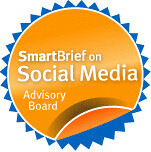 Listening: Before you launches any aspect of an online communications effort, it is necessary that the organization understand more thoroughly who the online audience is, what their interest and willingness to participate in your efforts might include (and is driven by) and what will drive them to engage and take action around this issue. The rules are changing, so whatever assumptions or knowledge we have needs updating. Part of that is done through the act of listening (monitoring, etc. ), but more importantly you must also hear what the audience is saying. Groups should be monitoring online discussions about their key issues, as well as the categories in which they operate (political activism, advocacy, etc) to uncover key elements and trends driving action and to determine ways to align their work with other related efforts to gain additional momentum. Organizations should assess what drove success for online, global, and activism campaigns to identify “next” practices — instead of just trying to emulate their efforts. And, it never hurts to organize ‘listening tour’ to directly solicit input and feedback from members of your target audience, or to collect first-hand knowledge of how they get and share information, and how that impacts your work. Having an understanding of what has spurred action in the past and how to adapt those lessons to your work will help inform everything you do going forward. Introduction: Organizations need to find ways to put issues in front of their target audience – to generate interest, prompt curiosity, and begin to build awareness. And, as a part of that effort, it is necessary to introduce the key voices representing the organization and their work. This might mean developing content that helps to frame the issues in real-world terms for the audience (security, cost, upcoming elections, etc), or maybe holding a series of small meetings with interested individuals in target communities (online or offline). You can begin seeding the discussion about your issues by participate in existing conversations in social networking and community site or asking questions about your issues in public forums where the target audience is likely to spend time, to begin a groundswell of interest. And you can spur attention by reaching out to bloggers or encouraging your supporters to introduce some of their friends to your work. A strong introduction and increased attention will fuel everything that follows. Just know that these, and similar efforts, will be important first steps in securing support for a project that must happen before the audience can be asked to engage deeply or take significant action. And they will also take some time to complete. Education: Groups often underestimate the complexity of their issues (not to mention the need for activation to be more sophisticated than typical online advocacy or fundraising efforts in order to catch fire and have an impact). The result - low levels of participation and limited impact. The solution - when issues are complex organizations need to spend significant time and energy educating people who are interested or become aware. You might consider creating content to help fuel some of the public discussion you need, or collecting and distributing questions from members of the target audience to help people understand how to get more deeply engaged in the issues. Regardless of what form it takes, the education work should be in place before any significant outreach effort has begun, to help avoid wasting resources or time. This will be necessary to get interested people sufficiently invested in the issue so they will take ownership and action to support the rest of the effort. Engagement: Engagement can range from taking simple actions – signing a petition, recruiting a friend, etc. – to truly empowered citizens taking action to help grow and expand a campaign. And as the level of awareness and understanding about the issue grows, it will be possible to engage the audience more deeply, and to expand the reach and impact of the campaign further. But until that happens, moving quickly to request action (or financial commitment) from your audience won’t work. And that is what we are seeing increasingly from groups operating online. Someone signing up for your email list does not necessarily mean they are ready to donate or get involved. A single donation, particularly one resulting from a relationship to someone who is already part of your network, does not mean that your new supporter is interested in a relationship with your organization. And failure to recognize the desire for people to learn more, develop a deeper relationship, or take actions that require less commitment or investment only serves to alienate users whose wishes aren’t being considered. Engagement is complicated, and ongoing. Groups need to identify ways that the target audience can engage with your organization and participate in a meaningful way, then provide tools and support to make that possible — not the other way around. Mobilization: Finally, organizations will need to identify ways to activate and mobilize its audience that go beyond what traditional things we are seeing online. Simply building a large list, sending emails to Congress, or signing a petition is not be enough. While those activities will have a role in the campaign, the types of online advocacy that have defined previous campaigns will not be sufficient to bring about the change needed to pass your policy plans. In fact, the very nature of Facebook Causes — and its ability to standardize and simplify the ways that audiences can get involved in issues online — now means that every group needs to find new and better ways to distinguish themselves and their work. I recommend using the earlier phases of the campaign, and the audience that is assembled in support of the campaign, to help identify. And make sure to help define your needs before looking at what the different platforms and channels can offer. Technology will play a critical and central role in the effort to raise awareness and mobilize support for organizations, and platforms like Facebook Causes provide invaluable tools to support that work. But, for groups to succeed, they must realize that technology is only one small part of the equation. The internet has become an essential part of everyday life and changed the way we relate to media, information, and each other. Audiences of all ages and types are more connected, diverse, and sophisticated than ever before. Newspaper reading, television watching, and radio listening habits are changing constantly as new technology becomes available. And as a result the promotional and communications activities that organizations have grown accustomed to no longer work as they once did, and new options must be explored. A strategic use of the internet and supporting technologies will allow groups to organize its base of support more efficiently and cost effectively than traditional organizing tools and methods allow. Your message has the potential to spread farther and be embraced by more people because of the reach of the internet and the role that technology plays in people’s lives. You have an opportunity to receive instant feedback and real-time measurement of the impact of your work, directly from your most important constituents. And, you have an opportunity to tap a bottom-up, grassroots-fueled revolution to expand the reach and increase the impact of your work. This type of community, when cultivated properly, will strike out largely on its own and without the need for strict management or control, and accomplish things that you could never do by yourself. That is the promise of platforms like Facebook Causes, and all the other technology providers out there — or should I say the promise they make. Buy our tools or create a profile and our system will take care of the rest. But, to be successful, and lay the foundation that will lead to long-term online online (and offline) success, you must understand the best practices of traditional organizing and embrace the full potential the internet and technology provide. You must establish strategies that include all the various opportunities for online communications that exist today, so you can use them to cultivate and support a community, raise funds, or receive any other commitment from your audience. And you must define your goals and strategies before you pick your tools and tactics. It is not enough to simply build a large email list or promote your activities anymore — you have to do something. Its not enough to create a profile on Facebook Causes and expect tens of millions of people to find their way to your front door. You can’t expect your audience, no matter how passionate they are about your work, to make an online contribution only because you ask - or to continue to make donations after they became involved through an event or opportunity. Those are all actions that you, as an organization define. Your audience, and particularly those who donate, want to be directly involved in your work and empowered to help support your efforts in the ways, and using the tools, they feel most comfortable with. You need to follow their lead. Anything short of that will make it impossible for the type of engagement you desire to succeed and will be a missed opportunity that places serious limitations on your ability to grow and meet the goals that you have outlined. There is no right answer or silver bullet solution to this challenge — but everyone is facing it, and since the world continues to change, we will all be struggling to figure it out for a while. My challenge to you is this: tap into your community from day one – use your existing audience, and the audiences you hope to engage around your work, as partners. Invite them to get new ideas. Ask them to help you understand their needs and how to meet their expectations, so you can stop guessing. In essence, I am challenging you to integrate your online presence and the voice of your community into the very heart of the projects that you pursue, however and whenever that can be coordinated. No tool or feature, no matter how incredible, will dramatically change the way nonprofit organizations use your platform. No new set of features will spur the Facebook audience to use Causes significantly more to activate on their interests. And no case study or campaign example, especially ones with high-profile partners or plans that include other media - like TV or print advertising - will serve as a good model for others to follow. Thus, my challenge to you is this: change your focus. Stop developing new features and tools until you have found ways to get your users more invested in the setup you already have. Find ways to better educate and support all your nonprofit members, as well as the users that power your success. I’m not suggesting you stop innovating or improving your tools, but the needs of your audience should drive that work, instead of the technology driving how the users are able to get involved. I know nonprofits are struggling with all the changes in how people get and share information, and the opportunities that technology and the internet provide. I know that the Facebook Causes team wants to revolutionize online fundraising and engagement. And I know there is a huge community of users, as well as bloggers and consultants, experts, and practitioners out there who want nothing more than to support both groups in making this important transition. So there’s really nothing standing in our way. I'd shared Brian's article on my FB feed and plopped the links in the comment section about Jasmin Tragas' Opportunity Int'l deadline in 48 hours http://www.shapingyouth.org/?p=7445 but never thought about asking to crosspost...silly me! Way to go Beth, you rock, ya snagged him first! (your audience is more appropo for sure) Sage advice all around. Let me know when you're settled into your new digs for a 'meetup'---welcome wagon awaits, --Amy J. Thank you for this great post, I look forward to hearing more from you in the future! Just a comment...one of the dangers of on-line petitions and groups to join, is that the person who adds their name, feels that they have done their bit, and doesn't feel the need to do more. They get the warm glow effect, without any significant outcome. That is one of the challenges for impassioned activists using social media.